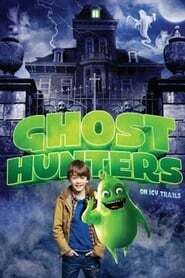 Ghosthunters: On Icy Trails They couldn't be more different, the members of the trio that allies in the fight against an Ancient Ice Ghost (AIG): Tom, an easily scared boy, Hetty, a professional ghosthunter and the loveable, but pretty slimy Hugo - a ghost. Will the team manage to save their town from the next ice age? Little Dead Rotting Hood The residents of a small town discover that something more sinister than killer wolves is lurking in the backwoods: first the wolves start turning up dead...then people. Pan 12-year-old orphan Peter is spirited away to the magical world of Neverland, where he finds both fun and danger, and ultimately discovers his destiny -- to become the hero who will be forever known as Peter Pan. 10000 Years Later Hundreds of thousands of years after the collapse of civilization, the world is a post-tech wasteland, and is inhabited by humanoid tribes. Strange Magic “Strange Magic” is a madcap fairy tale musical inspired by “A Midsummer Night’s Dream,” with popular songs from the past six decades used to help tell the tale of a colorful cast of goblins, elves, fairies and imps, and their hilarious misadventures sparked by the battle over a powerful potion. Hansel & Gretel: Witch Hunters After getting a taste for blood as children, Hansel and Gretel have become the ultimate vigilantes, hell-bent on retribution. Now, unbeknownst to them, Hansel and Gretel have become the hunted, and must face an evil far greater than witches... their past. Cinderella When her father unexpectedly passes away, young Ella finds herself at the mercy of her cruel stepmother and her scheming step-sisters. Never one to give up hope, Ella's fortunes begin to change after meeting a dashing stranger. Justice League: Gods and Monsters In an alternate universe, very different versions of DC's Trinity (Superman, Batman and Wonder Woman), who operate outside of the law, are framed for murders of prominent scientist and the government decides to take them out. The Hunger Games Katniss Everdeen voluntarily takes her younger sister's place in the Hunger Games, a televised competition in which two teenagers from each of the twelve Districts of Panem are chosen at random to fight to the death.